Dishfunctional Designs: Craft Shows & Art Festivals: Which Type is Right For You? Craft Shows & Art Festivals: Which Type is Right For You? In my last blog post, Preparing for Your First Craft Show, I talked about some of the things you might want to think about before you sign up for your first craft show. Some of the things I suggested you to take into consideration are the amount of work involved, a reminder to have the proper permit or license, and to be set up to accept credit cards. I advised you to start a notebook where you can write ideas, take notes on shows that you visit, and write lists of things that you will need to participate in art or craft shows. I can't stress how important it is that you visit many craft shows! Check your local newspaper find out when and where upcoming craft shows and festivals will be. 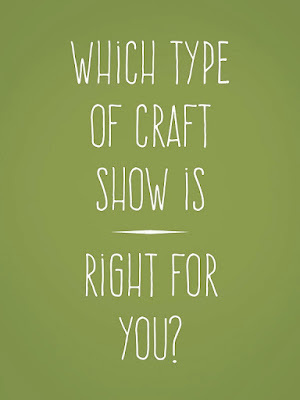 In today's post I'm going to talk about some of the different types of craft shows and give you some insight to the pros and cons of these different types of shows so that hopefully you can then determine what type of show might be right for you and the type of craft or artwork that you create. This can be a pretty broad topic, so I'm going to narrow it down as best I can. First of all, there are big shows and there are small shows. There are also shows where shoppers pay an entry fee to enter, and other types that are free to visit. Word of advice: Do not ever purchase premade crafts and then resell them under the guise that they were created by you. This is a giant no-no in the industry and is known as "buy/sell." 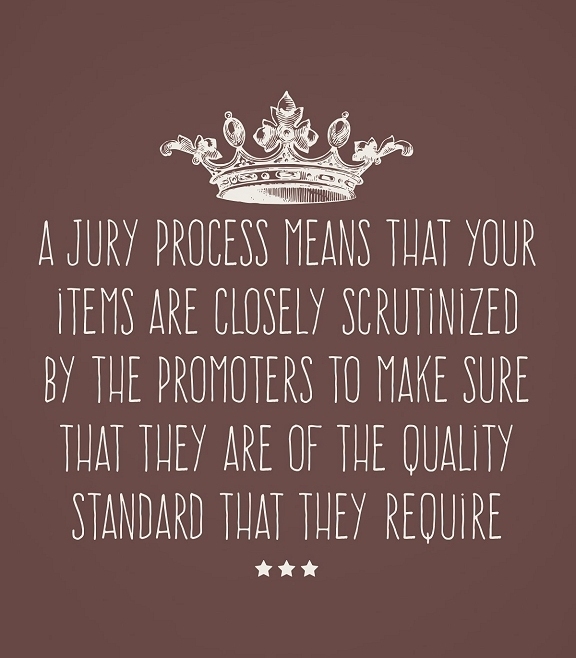 This is a practice that is greatly frowned upon by other crafters as well as promoters. If you're caught doing this you will be kicked out of the show and you will gain an instant bad reputation among crafters and promoters. That's not to say that you can't use certain manufactured components within your design. But as to what those components are and how many of them you use is a popular debate among crafts people. 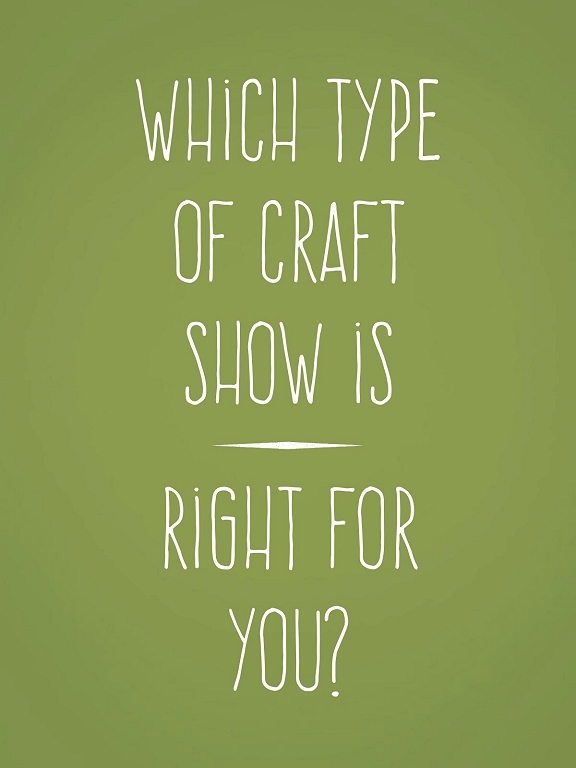 These types of things also help denote what types of craft shows you should be in. There are shows that are purely "crafty" types of shows with lots of preassembled type items and then there are shows that are geared more toward fine crafts and artwork where each and every item is made purely by the hands of the person selling it. 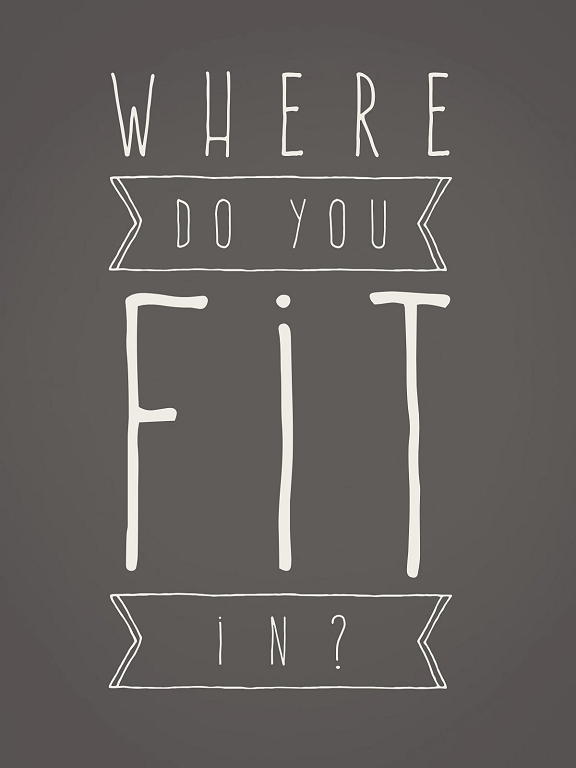 Where do you fit in? 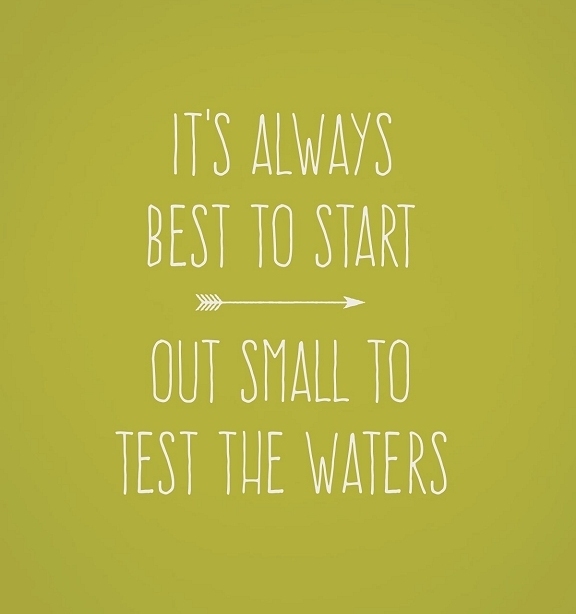 In my opinion it's always best to start out small to test the waters. Large juried shows usually have costly entry fees as well as a jury process which means that your items are closely scrutinized by the promoters to make sure that you are of the quality standard that they require. These types of shows are mostly for fine craftspeople, artisans, and artists. Going into those types of shows can be a great goal to have, but start smaller to gain experience and to see if you like it first before investing in lots of displays and equipment you will need to do bigger shows. Smaller craft shows such as those run by organizations such as women's clubs and churches (and also some craft festivals) will not have such strict guidelines but generally the quality of crafts will be on the lower side. Again, where do you fit in? Remember what I said about visiting lots of shows! Starting with smaller shows: these are the types of shows that you find at a church hall or at outdoor festivals such as summer carnivals, fairs, and town festivals and these are usually either free for shoppers to enter or might charge a small entry fee at the door. The crafter fee for a crafts person to participate in the show is usually low and might be $20 for a table or $40 for a table, or they might give you a certain area of space such as a 10 ft. square. When you are starting out it's easy to do shows in fire halls and church halls where the tables and chairs are supplied. Once you have been doing craft shows for a while you might later want to branch out into shows where you have to show up with your own tent or canopy, your own tables and chairs and complete displays. I found out early on that my crafts did not fit into the smaller type craft shows or outdoor county fair type shows. This is when I was a stained-glass artist and I found that people who go to those shows were looking for inexpensive things to buy. 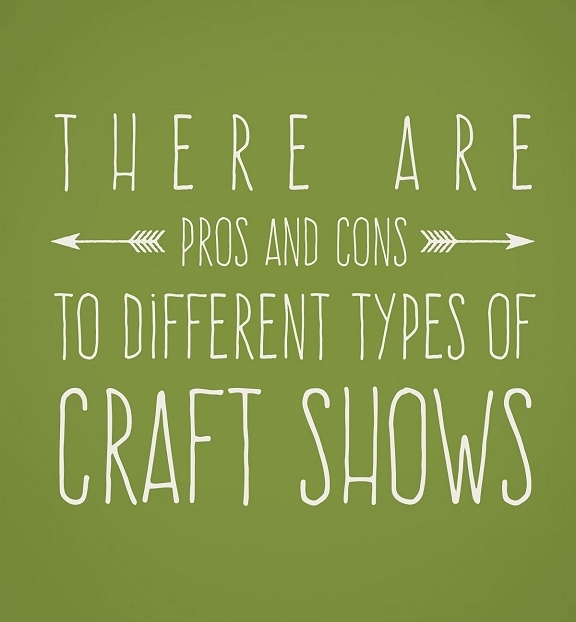 Some seasoned, higher-end crafters will also tell you that they avoid any type of craft show where there are carnival rides or where food is served as a main attraction. That's because people come with their kids to ride the rides and eat, but not to spend money on crafts. Unless you are selling lower-priced items that are appealing to that type of crowd, you will just get a lot of lookers. 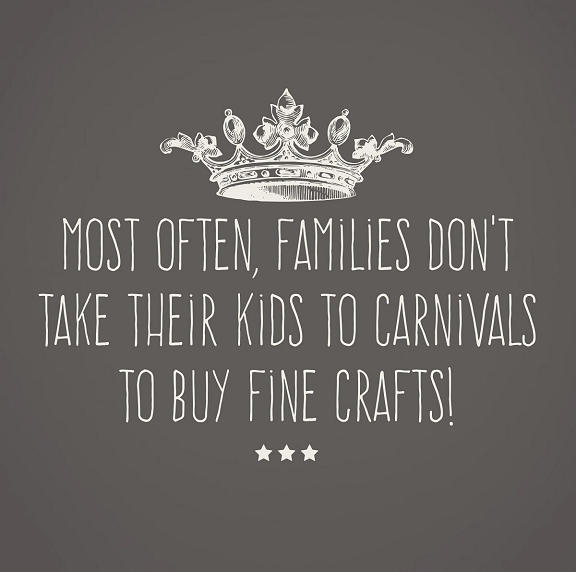 Most often, families don't take their kids to carnivals to buy fine crafts! With that in mind, you may want to avoid those types of shows unless you are selling inexpensive family-oriented items. Here's a real-life example: I once participated in a craft show at a county fair that was outdoors under a huge tent and the woman next to me was selling bandanna pet collars. She was selling them left and right and could hardly keep up with her customers, she was so busy! That was the perfect show for her, but it wasn't a good fit for me. I spent a lot of time at that show cleaning dust from the ground off of my expensive stained-glass boxes and art glass windows! See what I mean? Again, think about where your craft might fit in. Once I outgrew those smaller shows at fire halls and tested the water at outdoor festivals I was soon ready to move on to shows that were a little bit bigger and that had more of the type of audience that would buy my type of crafts. For some of these shows, I had to supply my own canopy. Everyone uses basically the same kind, the EZ-Up white canvas topped type that is 10 ft. square. I think I bought mine at Sam's Club years ago for about $200. That was a small investment in my business. Most medium to larger sized craft events will specify things such as, "all canopies must be white" – It's kind of standard in the industry – so like I said before, visit lots of shows! Look around and really pay attention and see what the visual set up is like. Ask questions from participating craft people or promoters while you're there. Tell them you might be interested in participating in the show next year and you will get lots of information. Write it in your notebook. At this point in your business you should already have business cards, so bring some along to share with other crafters and promoters. Some larger type shows that are indoors will supply the tables for you for an additional fee outside of your entry fee. This could be $10 or $20 per table plus a few hundred dollars fee to participate in the show. 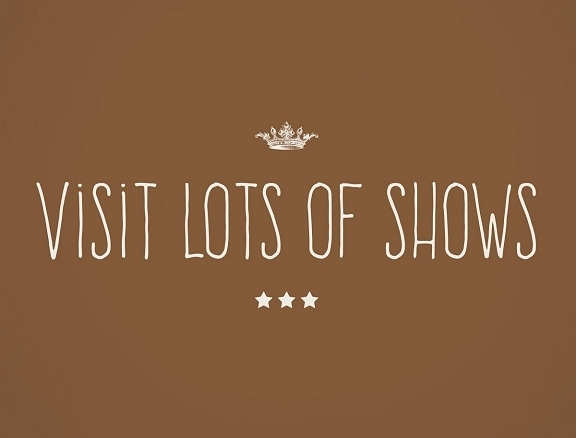 (Show costs to participate vary widely from show to show, area to area, and promoter to promoter!) They will most likely also supply electricity (bring your own heavy duty extension cords!) for an additional fee. You will also need to supply your own table covers and those are also sometimes regulated by the show to be a certain color- black or white is usually the best choice if not. Table covers should always reach the floor on the front and sides of your tables. Your display should always be kept within your space unless the promoter permits otherwise. 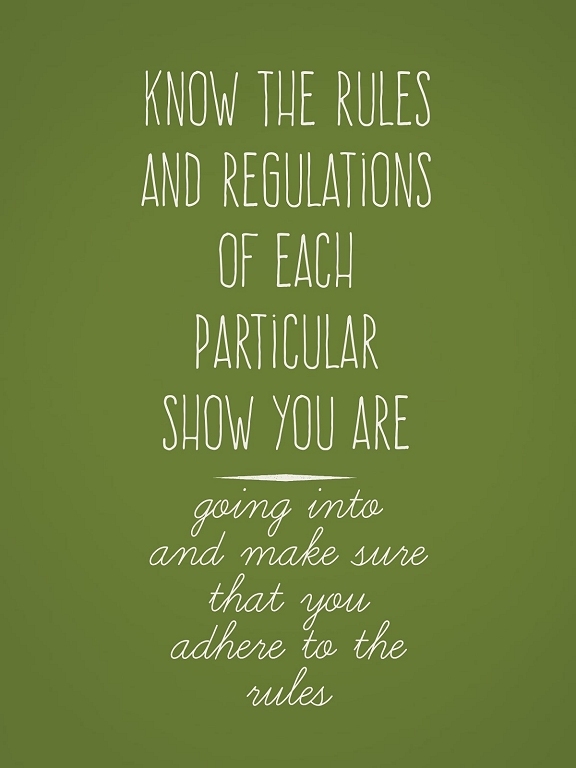 Know the rules and regulations of each particular show you are going into and make sure that you adhere to the rules. The first big show I did was indoors and cost a few hundred dollars to enter. I could hardly afford the entry fee! I paid a bit extra for them to supply the tables to make it easier for me – and that was a really wise choice because it saved me so much work – and I also paid for electricity which was another wise choice because it was actually kind of dark inside the building. It was a large stadium but when you think about someone coming up to a table and looking at your items, you want them to be illuminated and brightly lit so that you show them off the best you can. I didn't even accept credit cards yet, but this promoter specified that you had to-- so if you did not have your own credit card system, they accepted them for you. They took a small fee to do this but it was well worth it. I made a lot of money that weekend - a few thousand dollars - and I was in heaven. It was my biggest show up until that date and I learned so much. The promoter gave me a check for my credit card sales at the end of the show. They also processed any personal checks I received, which saved me a lot of sweat worrying about whether I should take a check or not. So as you can see, there was a benefit to being in a larger size show with a promoter who took credit cards for me and screened personal checks. It offered me some small amount of protection - especially since I was just starting out doing larger shows. I found that my work did well at larger shows and this is right at the time when I was starting to introduce my jewelry into my line of stained glass and glass and china mosaics. This show was not very simple to be a part of though - there was a jury process to be accepted and also a waiting list! Big shows are planned months and months in advance - sometimes over a year in advance! If you're reading this post and you've done craft shows - big or small - please leave a comment below and add your voice to this post. I'd love to hear your show experiences with all types of shows! Very interesting post! I've never been in a craft show..but hope to do it in the future! Glad you enjoyed the post! Thanks for visiting!